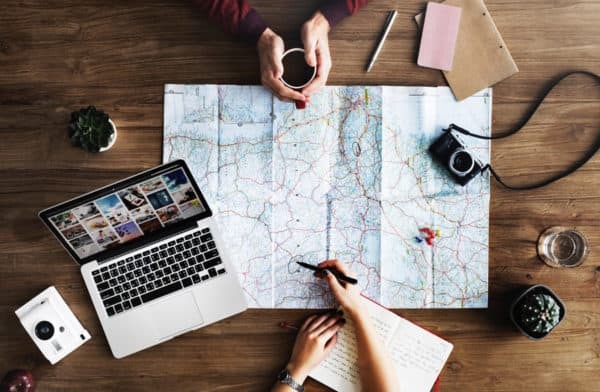 It was my first trip to the lagoon city and I could hardly have imagined how much you could do in such a short time – I was only able to see this stunning city for 4 hours – before I went to the Falkensteiner Hotel & Spa in Jesolo. Venice has still managed to enchant me and yes, I am a little bit in love. However, more on that later. My journey started after a short flight of only 50 minutes from Vienna to a sunny but, as forecast, cold Venice. 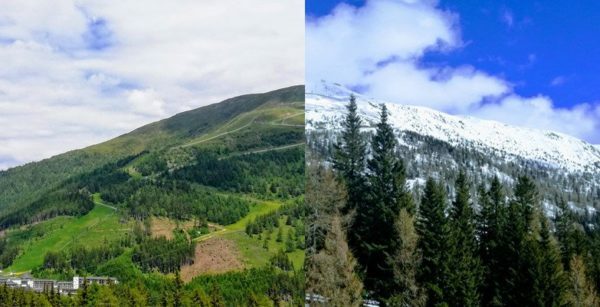 12°C in sunshine, wintery Italy thus greeted me. When you arrive at Marco Polo Airport, the question is what is the fastest way to get into the city. I decided on the adventurous option and boarded a water taxi, which would take me in just over 1 hour directly to St. Mark’s Square. However, I recommend this trip only for those who are not prone to seasickness as on our trip, we were regularly rocked from side-to-side. However, then I saw her approaching, the lagoon city of Venice. I recognised the towers, the silhouette of the city and yes, I admit, it was love at first sight. Venice received me under a bright blue sky, the sun shone in my face and made the water in and around the city shine in rich turquoise. So, as you can see, it all happened pretty fast around me. I decided to just let myself drift, without stress and let the action of the city have an influence on me. 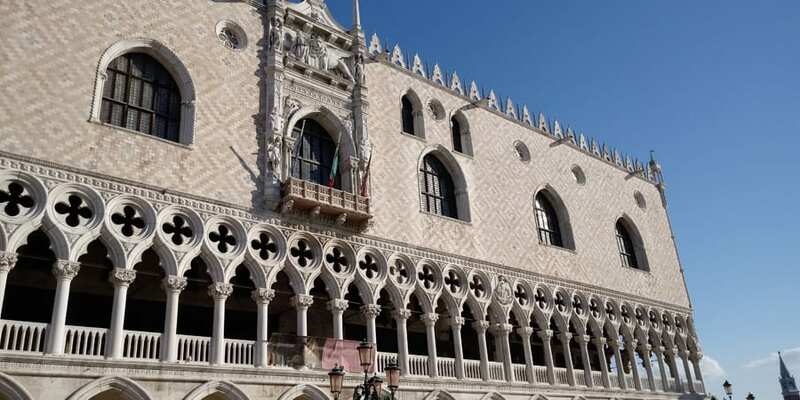 So I made my rounds at the famous St. Mark’s Square, where, in addition to numerous people, at least as many doves and seagulls bustled around. However, I wanted more, preferably up high – so there was the visit to the Campanile, the bell tower close to the middle of St. Mark’s Square. 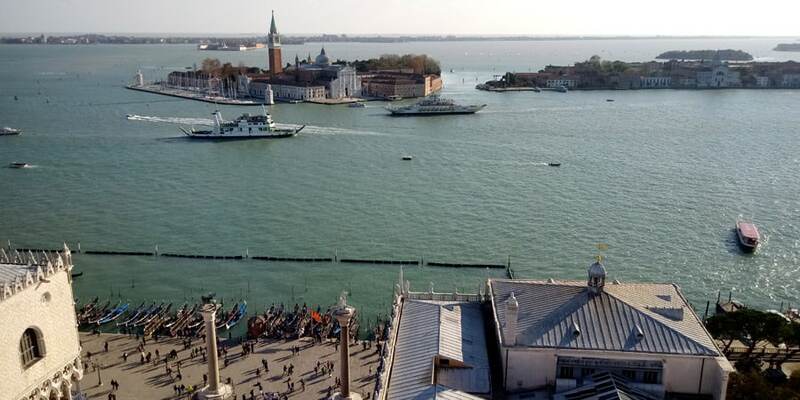 For €8, you go up in the lift and enjoy from 99 meters height a fantastic all-round view of Venice. However, my visit did not last too long as despite the sunshine, the cold wind did not make a longer stay particularly attractive. Back on the ground, I marveled extensively at the St. Mark’s Basilica and the Doge’s Palace, which I did not look at from the inside because of the limited time on this occasion and then also had a look at the famous “Bridge of Sighs” (In Italian, Ponte dei Sospori), which owes its name to the fact that former prisoners had to cross this bridge on their way to imprisonment or execution and saw here the sky for the last time. By now it was early afternoon and hunger was increasing. The provision on and around St. Mark’s Square is substantial but I wanted consciously to discover the culinary art of the city somewhat off the beaten track and made my well-signposted way to the Rialto Bridge. I weaved my way through the winding, tiny streets that offered all sorts of hidden little cafes, restaurants, boutiques and shops. I could not at first discover the Rialto Bridge but given a huge bunch of people, I guessed that I had probably reached my destination. At the top, I let my gaze wander over the Grand Canal, which runs like a lifeline through Venice. 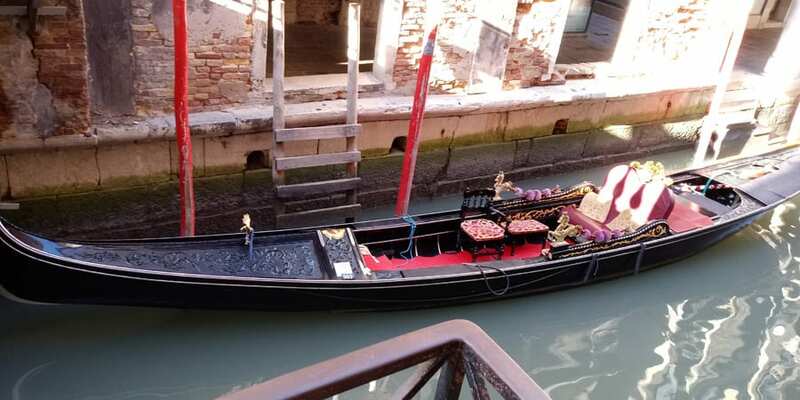 Several gondoliers made their way under the Rialto Bridge – a gondola ride is already on my to-do list for the next stay in Venice. However now first back to the food. I discovered a small pizzeria right next to the bridge. 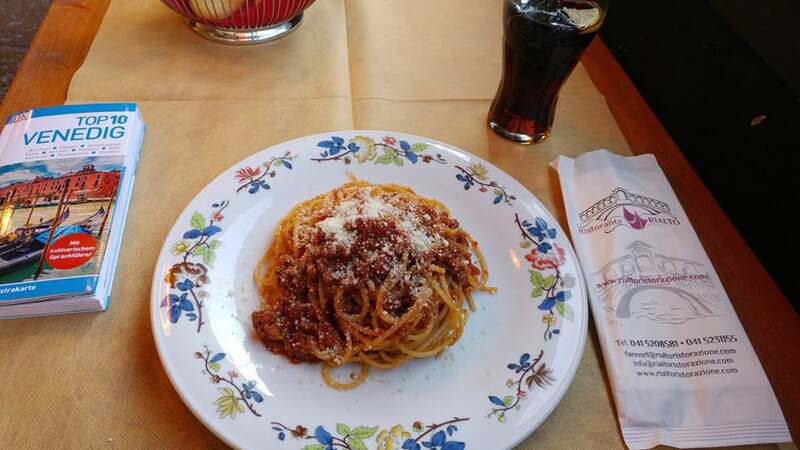 As is well known, loves comes through the stomach and completely in the style of Julia Roberts in the film, “Eat Pray Love”, I had spaghetti bolognese and a piece of tiramisu with relish, with complete joy and with butterflies in my stomach,melting on the tongue. Me and Venice seemed to become something serious. 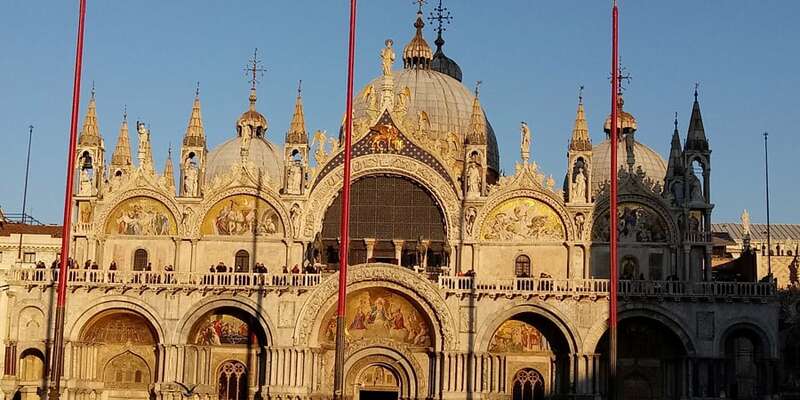 For being a few euros poorer – but what do you not do if you are in love – and a few souvenirs (including jewelry from the Murano glass famous in the region) richer, I went back to St. Mark’s Square, where I once again collected impressions for myself. It was by now 4 pm, it had only been four hours since my arrival and yet this wonderful, contented feeling set in, which one only gets on holiday, when one has discovered a whole new world for oneself. 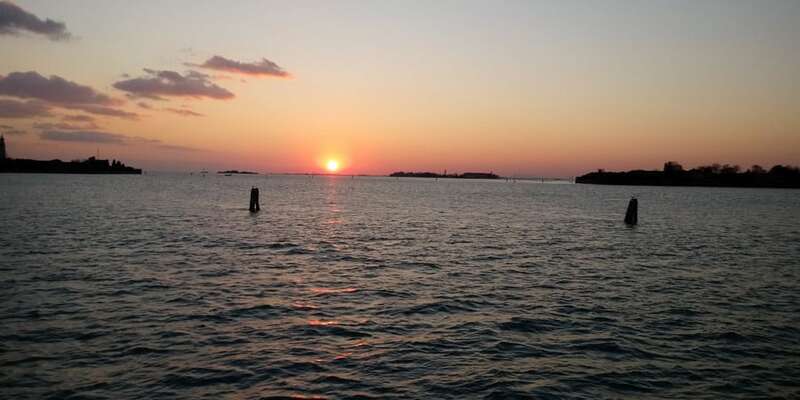 In the evening sun, I walked along the harbour to the ferry, which brought me to Punta Sabbioni (from where it was only a 20-minute drive to the Falkensteiner Hotel & Spa of Jesolo) and my brief but intense “romance” with Venice for the time being would be at an end. 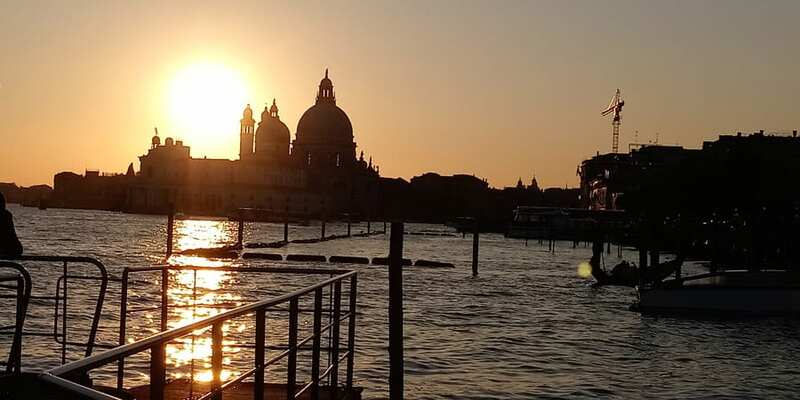 However, one thing I know for certain is that Venice has conquered my heart with its Italian charm, excellent cuisine and rich provision of culture, art and history, so this was certainly not my last visit to the lagoon city on the Grand Canal …. Small insider tip: For a short trip to Venice, I recommend the “Top 10” Travel Guide from Dorling Kindersley with a very good city map, several city plans and vivid pictures as well as sketches on the main attractions.